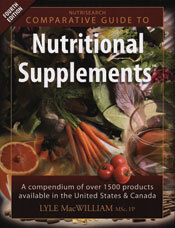 Now in its 4th edition, Lyle MacWilliam’s Comparative Guide to Nutritional Supplements compares over 1,500 nutritional products in North America to an independent nutritional benchmark developed from the individual recommendations of 12 recognized nutritional authorities. The Comparative Guide to Nutritional Supplements recently awarded USANA its highest distinction possible—the NutriSearch Gold Medal of Achievement™—and selected USANA as its Editor’s Choice. You’re familiar with USANA’s amazing sales tools that help you build your business, whether it’s getting scientific information to your product-interested prospects from the Product Information Book, or providing Associate success stories and explaining the lucrative compensation plan from the Health & Freedom Newspaper. Whichever of the many sales tools you prefer, it’s nice to know that you can rely on these publications to help you get the message of true health and true wealth to those you care about. But what happens once your prospects are no longer prospects, but active Associates? Does the training stop? ‘Course not. There are a number of resources you can access from USANAtoday to help you continue training your new team members on everything from A to Z. Once you’re there, you’ll find downloadable flyers about tax tips, Dos and Don’ts of Social Media, and specialized flyers on specific USANA products. There’s enough tools there to last you forever! Just select which topic you’re interested in (USANA Business, Nutritionals, etc.) and check it all out. For more details about Training Tools, or if you have any other questions, be sure to visit Ask Andy located under the Training menu. Looking to host your own RESET Games? You should. Hosting USANA’s RESET Games: 12-Week Lifestyle Challenge allows you to create weight-loss competitions among your family and friends. It’s a great way to bring people together and help them take charge of their lives, and it is also the perfect opportunity to introduce others to USANA. 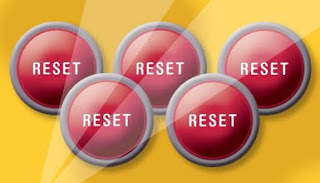 And now, USANA’s updated “Host your own RESET Games” section is available on USANAtoday! Create some healthy competition and a built-in support system as you lose weight together. Compete spouse to spouse. Participate with your family and friends. Or you can even host your event on a larger scale, inviting your downline, crossline, and prospects. It’s up to you. It’s fun, easy, and a great way to find that extra bit of motivation you’ve been looking for. We’ve even created a fancy list of rules, regulations, and helpful tips to help you get started. So, what are you waiting for? Everything you need is right at your fingertips. Start hosting now and be sure to check back often, as we’re constantly updating our RESET pages with first-class advice and helpful tools that are sure to make your RESET Games a monumental success. Check out USANA’s Host Your Own RESET Games and begin planning your event today! USANA Health Sciences, Inc. (NASDAQ: USNA) today announced that it has completed the application process and has been authorized to transfer the listing of its common stock to the New York Stock Exchange ("NYSE"). 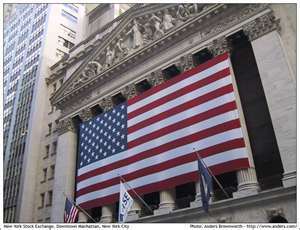 USANA expects its shares to begin trading on the NYSE on January 3, 2011, using its symbol "USNA". Until that time, USANA's common stock will continue to trade on the NASDAQ Global Select Market. "We are pleased to list USANA on the NYSE, which is widely recognized as the world's premier stock exchange," said Dave Wentz, CEO of USANA Health Sciences. "This move represents an important partnership for USANA as we continue to increase our global brand presence for our Associates, Customers, and shareholders worldwide." "USANA Health Sciences is an innovator that focuses on improving the lives and well-being of people throughout the world," said Scott Cutler, Head of Listings, Americas and Executive Vice President, NYSE Euronext. "We welcome USANA to the New York Stock Exchange and look forward to providing the highest levels of market quality and service to the company and its shareholders." 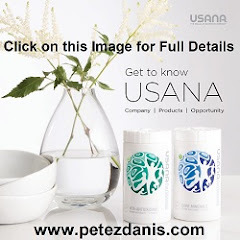 USANA develops and manufactures high quality nutritional, personal care, and weight management products that are sold directly to Associates and Preferred Customers throughout the United States, Canada, Australia, New Zealand, Hong Kong, Japan, Taiwan, South Korea, Singapore, Mexico, Malaysia, the Philippines, the Netherlands, and the United Kingdom. Additionally, USANA's wholly owned subsidiary, BabyCare, Ltd., operates a direct selling business in China. More information on USANA can be found at http://www.usanahealthsciences.com. 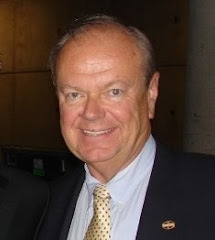 Big Al's Network Marketing Predictions for 2011! Again this year, it is reported that approximately 50% of all doctors will graduate in the bottom half of their classes. By allowing these underachievers into society, sales for nutritional products should greatly increase. Personal responsibility and work ethics will decline. Many freeloaders will just hope for success, and will consider that their total commitment. You will see ads like the following in "personal" columns throughout the country: Lazy, SWM, network marketing junkie looking for SWF with established downline for marriage and financial support. "How I Turned Two Million Dollars into a Million-Dollar Fortune" by Sleaze Shallowman. You won't see the following headline on any company newsletter: Uneducated, untrained, unmotivated distributor leads company in recruiting and retail sales. Earns largest check ever in network marketing. More and more workers will continue to leave the work force and start their own part-time networking businesses. Why? They are bored or frustrated with their present jobs. Industry experts estimate that 40% of all sick days occur on Fridays and Mondays. This estimate confirms the workers' desire to leave a boring workplace environment. A new company will launch that insists that if you don't join now, it will be too late tomorrow. But what will we tell the prospects after tomorrow? This cycle will be repeated several times every day. Many unsuccessful distributors who do not have the skills to build a downline will mistakenly join yet another company with the hopes that joining a company will fix their lack of skills. This cycle will be repeated by these untrained distributors throughout the year. Many unsuccessful distributors will blame their sponsor, their company, their pricing and the general market for their failure. They won't realize that many distributors in their company are enjoying success with the same set of circumstances. Many unsuccessful distributors will stop their prospecting activities and then complain that they can't find any prospects. Resuming their prospecting activities will never occur to them. Prospects will refuse to build a network marketing business while employed. They prefer to wait until it is too late, until after they are released from their jobs. 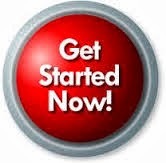 These prospects will then insist that they start their network marketing business with a full-time income.